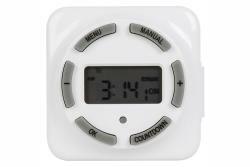 The Evening Star® Digital Timer allows for full automatic operation of the 150 and 300 watt transformers. 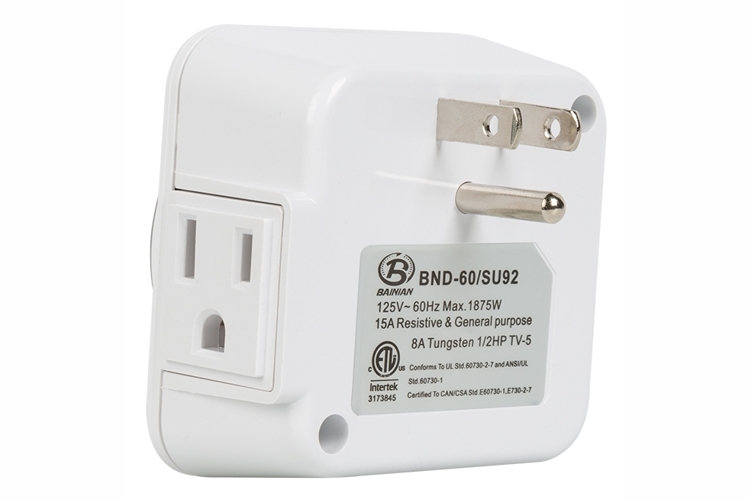 The timer simply plugs into the built-in receptacle on the inside panel, and the transformer's internal power cord plugs into the timer. 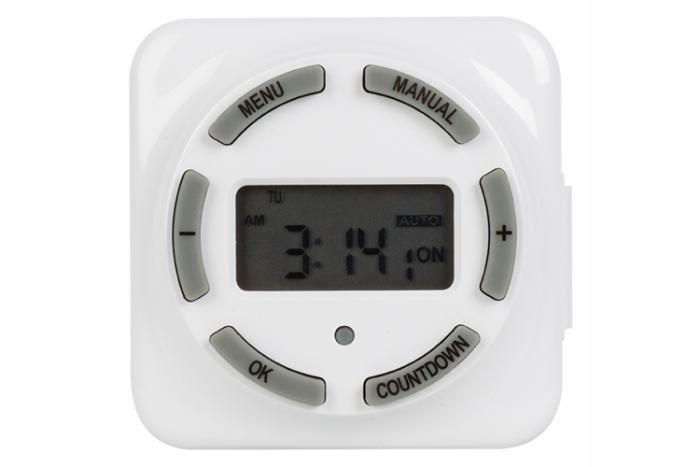 Settings can be customized for a full week, individual days, only weekdays or only weekends, and set up to 9 different programs per day. 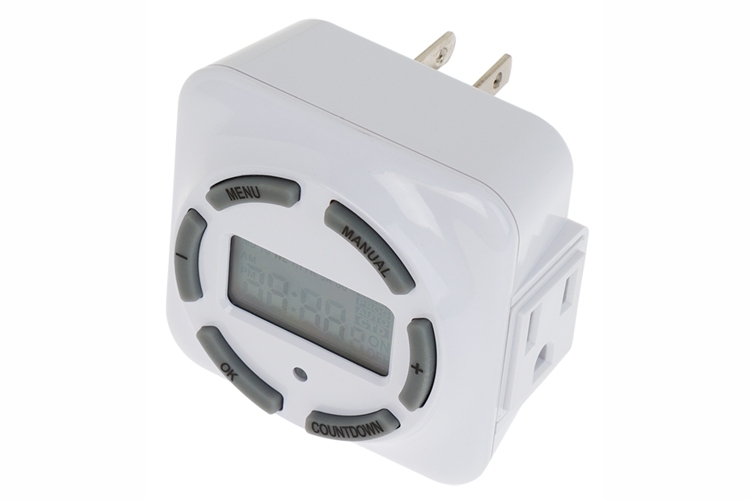 The digital timer has an LCD display shows current time, mode and settings, and it's battery back-up keeps current settings during power outages. For dry location use only. Dimensions: 3”L x 3”W x 2.75”H. Weight: 5 oz.